Yamaha artist Carl Tosten is a premiere player in the acoustic realm, and a phenomenal music educator. 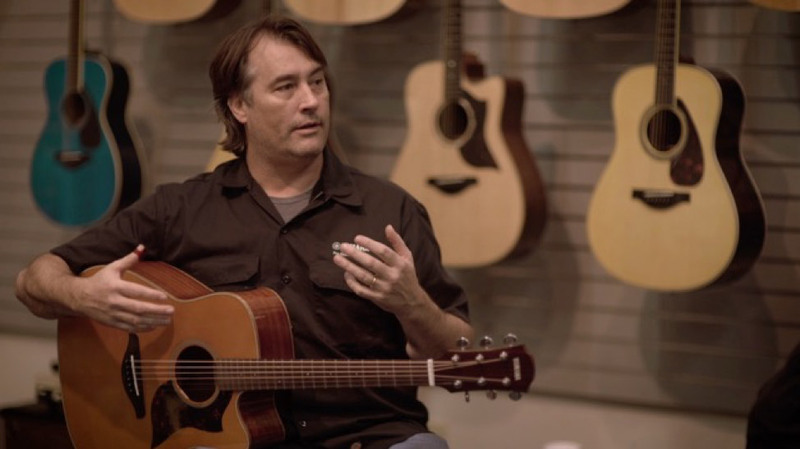 We sat down with Carl ahead of his upcoming series of free acoustic guitar clinics at Ted Brown Music stores across the state. Enjoy the Q&A, and be sure to check out his clinics, coming to a store near you! What’s your role with Yamaha? I’m a Yamaha artist, but I’m also an in-store educator. We do guitar clinics training. I’m kind of a Jack of all trades. Originally on acoustic, but now they’re turning me loose on electric guitars. A lot of people don’t know, but when I got out of high school I was a chicken pickin’ Telecaster kid from Eastern Washington, playing a couple hundred shows a year. Back in the 80’s, even in the small town I grew up in, there were five venues for 6,000 people and those five venues had music six nights a week. Spokane was the furthest I got from home back then, but you could make a pretty decent living. It was better than working a nine to five. The only reason I got into acoustic guitar was because I got tired of playing with bands and dealing with people. I got into fingerstyle, and it led to me being able to work by myself and make a lot more money doing it. More than playing a gig with four guys and splitting the take. I guess it was really more of a financial move in the beginning, but then I really got into it. But now I’m actually going back and playing a more electric guitar. Does that mean you’ve started playing with other people again? No, I probably won’t do that. You know with technology now, and especially with my style of playing, I can do a lot of chordal things. That’s what I do with the acoustic guitar, and I can do it with the electric guitar too, with real thick chords and fills. It’s not like I’m playing to tracks or anything, but I can carry the show by myself, and I like doing that. Why do you prefer playing alone? Playing with people is great when you can find the right guys. I go to NAMM and I get to jam with guys like Laboriel on bass, Mike Stern on guitar, and I love those guys, because they’re real players. The problem is, the guys who aren’t the real players are the ones with attitude problems. But the acoustic guitar affords playing solo, as you know. If you’ve got an acoustic guitar – especially with all the different tunings and percussive things you can do – you can go out and put out a one-man show. Have you got any albums? I’ve actually got six, which you can find on carltosten.com. Actually the very first one I recorded was while I was working at Ted Brown Music. I bought a lot of those mics I was using at Ted Brown Music. You worked at Ted Brown Music? Oh man, that was in 1997 I think. I was involved with Ted Brown because I had bought several amps from you guys in the 80s. I had an ACL tear back then, and I really couldn’t do much physically. So I thought I’d go in and see if I could get a job at Ted Brown Music. I was into the music thing, they sold guitars… it seemed like a pretty good match, and it worked out well. My last day was at the end of 1998, when I started playing full-time. That was my letting go of security and going out into the great unknown. How’s life as a gigging musician? I travel all over the United States. This past year, we did at least 15 states. Maybe more. Traveling with Yamaha, and some of it by myself. What I try to do is, if I’m going to be somewhere, I let Yamaha know and see if they can tack on some extra stuff. Especially now, there just aren’t that many decent paying venues. So you have to be a jack of all trades. The music industry is morphing, so you have to figure out new ways to make a living. Brent Mason, a really really good studio guy down in Nashville, he’s actually started doing Skype lessons. A lot of venues asking you to play for exposure these days? Yeah. I always say if I want exposure I’ll go up to Alaska and walk out into the wilderness. People die from exposure. I mean, just try telling that to your attorney and he’ll tell you to hit the road. I could write a book on my one line comebacks for people who give me those offers. I’ve learned a lot of things throughout the years. There are certain principles that work in every business, and perceived value is one of them. If people don’t perceive value in what you’re doing, they won’t take out their wallets and pay for it. Going from gigging musician to educator seems like a big shift. Not really. Education takes a lot of different forms, but what I do is encourage people to get some real world experience, play with other people, listen with their ears, and use their minds. I try to teach people the basic theories, but also real-world applications of those theories. There are lots of people who can sit and talk about theory, but at the end of the day they can’t really play. That’s like having a bunch of tools in your belt, but not knowing how to use anything besides the hammer. I’m not that way. I can go sit in with a jazz group and I might not be the best player but I can do it. I can sit in with a rock band, with a country band, and I can fill all these roles. So what’s your clinic about? Lots of stuff. We’re going to learn to speak the language of music, play with dynamics, alternate tunings, and multiple capos, how to amplify a guitar, different pickup systems, choosing wood-types… there’s going to be a lot of information. What’s something you wish people would ask about more often at your clinics? Guitar players in general don’t ask a lot of questions. We’re an odd group. A lot of the time, I can see people sort of drowning out there. They have trouble with a playing style or a technique, and they never ask. So it’s not a particular question I wish people would ask, but I think we should all be a bit more humble. When I was younger, there were so many things people could have told me - do this or try that - that would have saved me months of banging my head against the wall. Musicians shouldn’t suffer in silence. Be sure and join us for Carl's upcoming clinics throughout WA state at a Ted Brown Music location near you.